Does Packaging Matter to You? 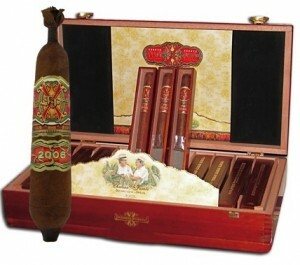 When a manufacturer comes up with a new cigar blend, there is no doubt that packaging is taken into consideration. This actually applies to almost any other kind of product. Experts in the field of marketing know that how you package a product can affect how it is perceived by customers. Many brands have extravagant packaging, most of which are very expensive. So exactly how much does the packaging affect the cost of a cigar? Well, when developing a price structure to sell a particular cigar, there are many factors that must be examined before a standard MSRP can be created. Some factors that attribute to the total MSRP include the price of tobacco, laborers, cost of running facilities, and packaging. Typically, the way each brand of cigars is packaged and presented does drastically affect the total outcome of the MSRP. 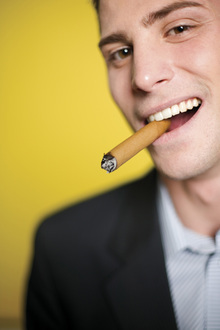 Of course, the cost of the tobacco is the biggest expense, hands down, but any cigars that utilize special packaging will definitely be more expensive than others. Manufacturers producing more premium, higher end cigars tend to use more extravagant packaging simply because it makes the cigar look more credible while also providing the consumer with an elegant package that truly does make you feel good about your purchase. Now that we have established just how the packaging can affect the price of a cigar, my question is: Would you pay more for a cigar because of special packaging? I think that if we were talking about the packaging alone, I would not easily part with more money. However, if, as that tidbit from Cigar.com explains, the nicer packaging means better quality tobacco, then I just might be willing to shell out extra bucks. Do you think the same way?